Andre Calvert gives his Steam Early Access Report of Sigma Theory: Global Cold War. GameReviewPad gives their thoughts on the A Plague Tale: Innocence – Story trailer. 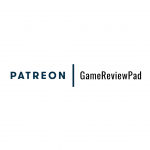 Details of the recently launched GameReviewPad Patreon are below the fold. GameReviewPad’s Indie Game Discovery Roundup 031 features Supraland, Heaven’s Vault, MarZ: Tactical Base Defense, Hell is Other Demons, and One Finger Death Punch 2. Also a reminder that Pathway has released. 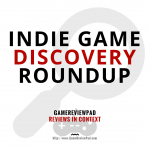 Every week new indie games are featured that caught GameReviewPad’s attention. GameReviewPad gives their thoughts on the Pathway – Gameplay Preview. The only game I’ve played that closely resembles this even remotely is FTL: Faster Than Light, as it’s another game that involves managing ship crew and ship systems.